US 27 S, Rt at Kenton Station/1936 (flashing lights), 1st Right to stay on Kenton Station, at stop sign stay straight to go on Boone Smith, L on Bakerfield, Cross concrete bridge, property at the top of the hill on the Left. 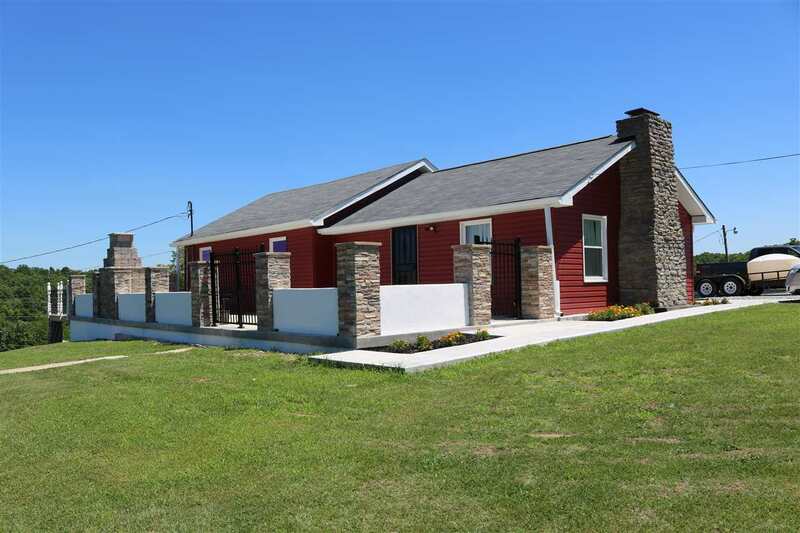 Completely remodeled (down to the studs) ranch home offers new siding,gutters & downspouts,newly poured concrete patio, deck w/gorgeous views,outdoor FP. Living room offers stunning HW floors,natural lighting & stone FP. Master Suite features full bath & large walk in closet w/customized shelving. 2nd bath completely remodeled, 1st floor laundry room on 1st floor cld be 3rd bed.